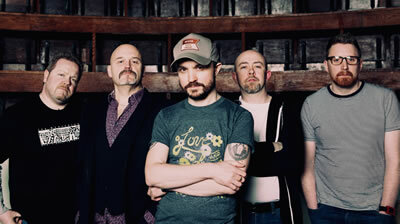 The excellent Wynntown Marshals are celebrating a decade of delivering their stirring brand of alt.country and country rock laced with standout melodies. One special way of marking this milestone will be a headline show at Glasgow’s The Hug and Pint on Friday, September 2. With three fine albums to their name ¬– 2015’s The End Of The Golden Age was a brilliant collection that rightly won widespread praise – they have a growing following who know that a night locked up with the Marshals’ is one well spent. The Marshals play with real, crowd-pleasing style and fervour from a catalogue of strong and well-crafted country rock songs. We are so pleased we will be in their company as they celebrate their 10th anniversary at this gig.